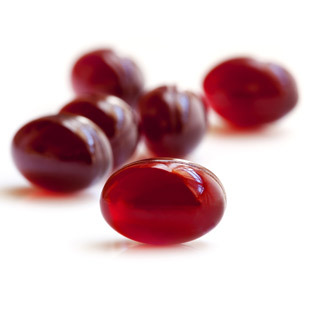 Ask the Nutritionist: Krill Oil vs. Fish Oil? Find out whether there are health benefits to taking krill oil instead of fish oil and whether you should take a krill oil supplement. As its name implies, krill oil is oil extracted from krill—tiny sea-dwelling crustaceans—and made into a soft-gel capsule. Krill are a rich source of DHA and EPA, omega-3 fats that promote heart and brain health and reduce inflammation. Krill oil is often touted as a supplement superior to fish oil: preliminary research suggests that our bodies better absorb omega-3s from krill oil than from fish oil. In other words, you’d need a smaller dose of omega-3s if they’re coming from krill. But here’s the catch: to get enough omega-3s you’d still have to actually swallow more krill-oil pills than fish-oil pills, because the amount of DHA and EPA in a single krill-oil pill is typically much lower. And krill oil tends to be pricier—perhaps because krill is harder to catch. It may also be less sustainable, because krill is the main food source for many whales and other marine animals. Look for krill that bears the Marine Stewardship Council “Certified Sustainable Seafood” logo. Krill-oil supplements contain a so-called “super” antioxidant, astaxanthin (that’s where the animal’s red color comes from). Astaxanthin may help to increase your “good” HDL cholesterol and decrease triglycerides, but krill-oil supplements contain only micro quantities. Bottom line: More important than whether you choose krill- or fish-oil supplements is simply including sufficient omega-3s in your daily diet, particularly because many Americans don’t get enough. Most experts suggest 2,000 mg/day. Up your omega-3 intake by eating more oily fish (salmon, tuna, sardines). The American Heart Association recommends two servings a week. If you just can’t seem to get enough fish in your diet, consider a supplement. Check with your doctor first, though, especially if you’re taking a blood thinner, as omega-3s may increase its effect. Is Coconut Oil Healthier Than Butter? Download a FREE Top 10 Seafood Recipe Cookbook!